The American Academy of Pediatrics is warning of the dangers of common additives found in foods and packaging. In a policy statement and accompanying report released Monday, the professional medical organization bluntly declared that many additives could have disastrous effects on health, especially for children. It also called for a dramatic overhaul in how the federal government regulates these ubiquitous chemicals. The report singles out certain groups of additives among the more than 10,000 that are used in the U.S. to preserve, modify, or package foods. 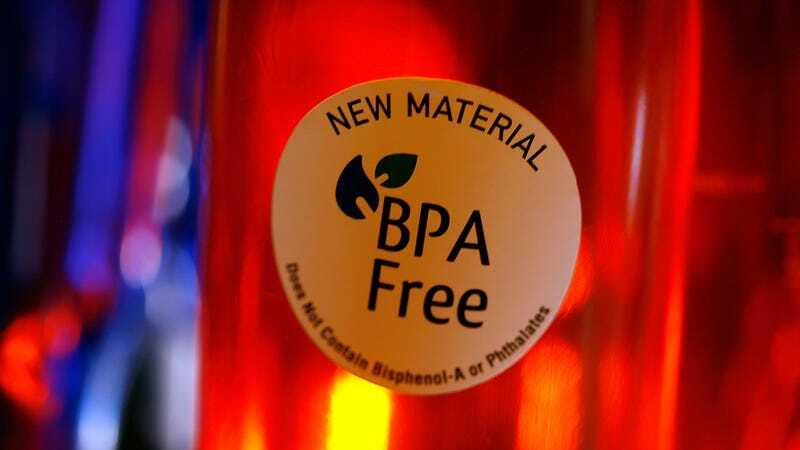 Included are bisphenols such as BPA, phthalates, perfluoroalkyl chemicals, or PFCs, nitrates, and artificial food colorings. These chemicals are thought to disturb the endocrine system, the network of glands that release hormones responsible for regulating everything from our childhood development and growth to our metabolism and sleep cycle. There’s a long list of specific health concerns these chemicals have been linked to, particularly in children. Bisphenols and phthalates might negatively affect or delay puberty as well as raise the risk of obesity, infertility and other chronic conditions. PFC exposure might damage developing fetuses, leading to low birth weight; it might also affect the thyroid, causing an increased risk of immune, muscle, and bone issues. Nitrates have been linked to certain cancers (and other, stranger health risks), while food coloring might play a role in worsening attention-deficit/hyperactivity disorder (ADHD). “Even small disruptions at key moments during development can have lifelong consequences,” lead author of the AAP report, Leonardo Trasande, an AAP member and researcher in children’s environmental health at NYU, said in a statement. While some of the riskiest chemicals in these groups have been banned in children’s products, other similar ones are still universally present or remain in “adult” products. And many of these chemicals have never been rigorously studied for their possible effects on children, thanks to having been classified as “Generally Recognized as Safe,” or GRAS, substances by the FDA. The AAP report points out that many substances on the GRAS list were placed there in the 1950s, while newer additives are often given GRAS status with little oversight. As a result, a 2013 study cited by the report found, two-thirds of additives added directly to food have never been tested for their potential toxicity, even in animals. The AAP’s major recommendation, that the FDA review these older substances and rework the approval process, is unlikely to happen without congressional action, but the FDA “can and should make improvements within the scope of current agency authority,” the report concluded.